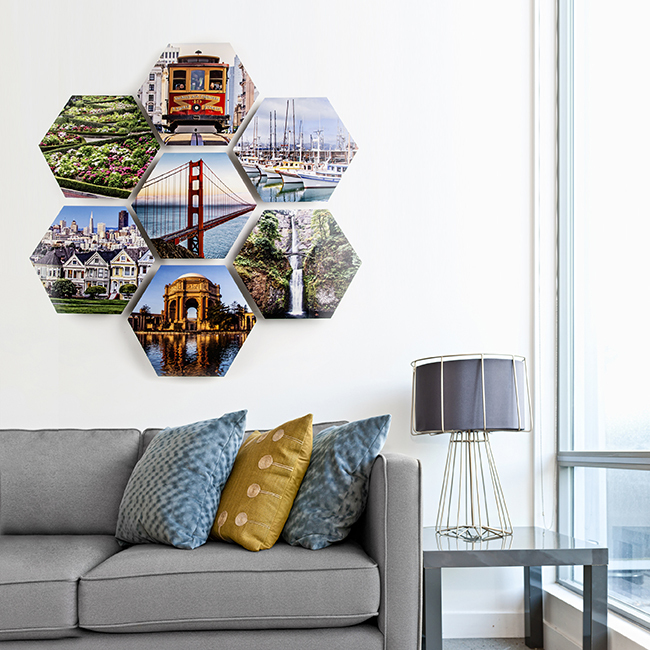 New Hexagon Metals Prints At AdoramaPix! Check Out Mine! I received my very own hexagon print and I love it! 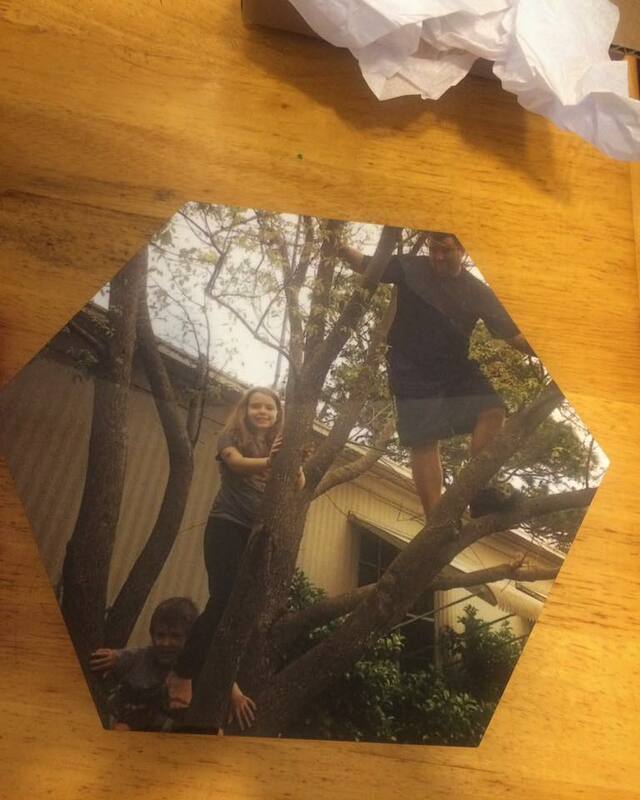 The kids picked out there favorite recent picture of themselves with Daddy climbing up a tree. Now each time they have a favorite memory I can order another one because these new hexagon prints fit so nicely together. I love how affordable AdoramaPix prints are from single prints to huge wall prints! I love these specialty prints! You can choose between having it hang on the wall to having a stand put on it. <3 Oh the possibilities! Grab one for a yourself or even a friend! Find some really cute items here!